Note: Click on any city to go to their individual page. Any CURRENT DINER can be found by scrolling down. History: Came from Kingston, NY. Was known as Cy's Diner. Cy's was a chain of diners in cities along the lower Hudson River run by the Rubin family. The diner was moved to Fuller Rd. when the former Dewey's Diner, a regular building, burnt down around 1964. Since then, the diner has been in the family, the whole time. 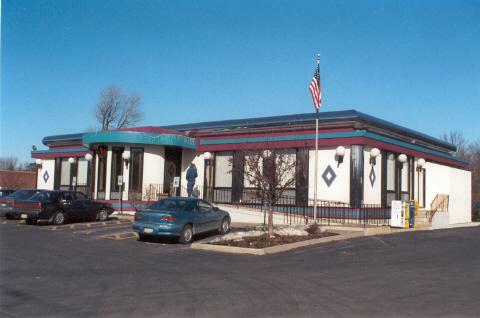 History: The diner is comprised of 13 modular units. 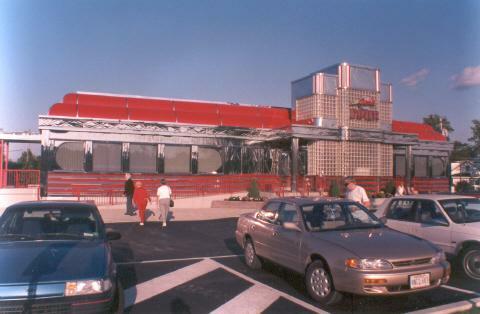 History: Became the Latham 76 Diner and Restaurant in 1987. For awhile, the diner was called a Restaurant, until the term Diner came back into fashion again. 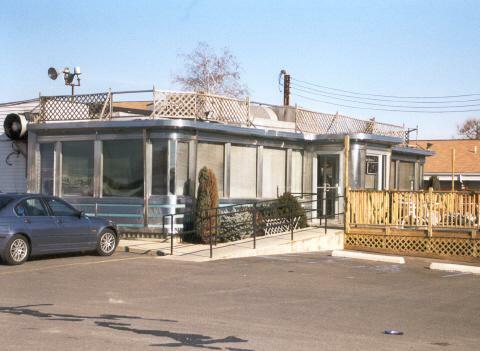 History: This diner started out at the site of the current Menands Diner. At this site, it was called the Broadway Diner. 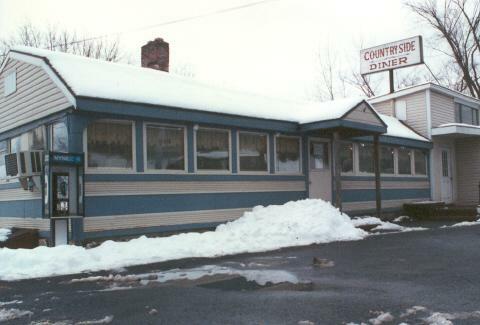 Colonie Historian ____ related a story that there were disagreements involving the owners of the diner, and frequently, there would be broken windows. The diner was moved to Wolf Rd. in eight sections in 1983. 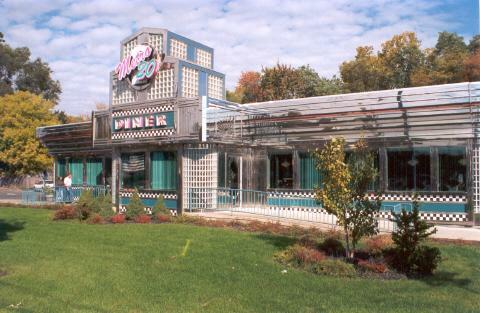 History: Diner was re-done around 1992.The original O'Mahony came from Schenectady across from General Electric. 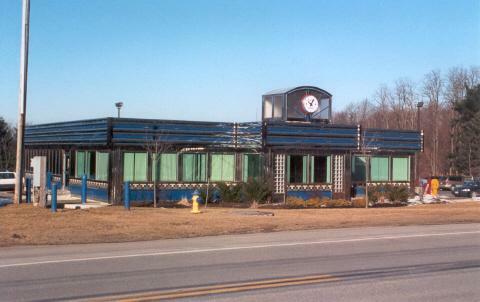 This was replaced by an environmental diner which was replaced in 1992 by the current diner. History: Diner is now in Duanesburg at the Merli Canal Village. History: On this site, was the current Wolf Rd. Diner. A few years after that diner was moved, here came someone who realized that here was a foundation, plumbing and such, all ready for another diner. 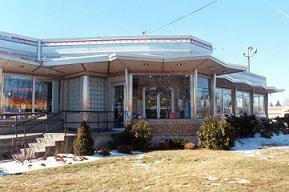 History: The Colonie Diner is one of two Googie styled diners in the Capital District. The other being the Gateway Diner. Both have been remodeled, but the Colonie still retains its zig-zag eaves. History: The diner was originally across the road, being brought to the site in 1949. 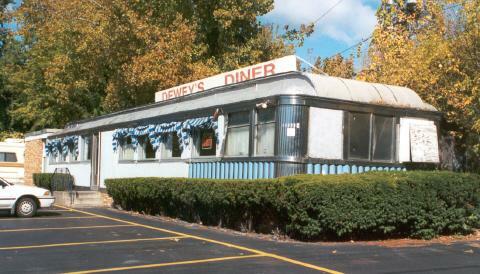 In 1955, that diner was moved to the current site. In 1962, that diner had a fire that destroyed the diner.